Our Lattice Boom Cranes are designed and built to the latest API 2C specifications which offers outstanding quality and extraordinary value. We offer pedestal mounted Lattice Boom Cranes in capacities ranging from 30 – 100 tons. We can design and build to your specifications. Booms are constructed to provide the utmost quality and efficiency. We construct each crane with lighter designs, providing greater length and lifting capacity. 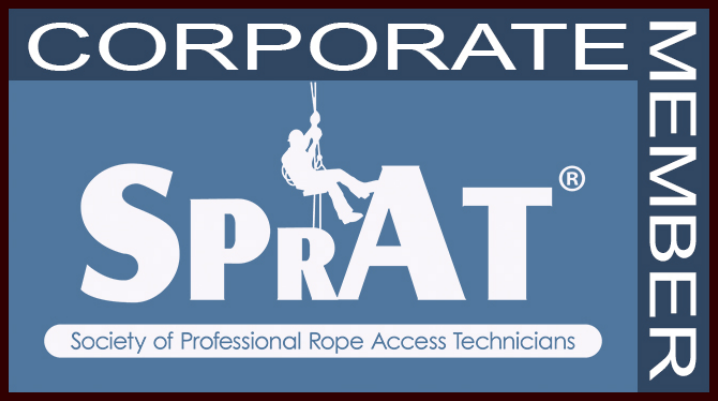 This improves our customers maintenance and transportation costs. Our Cranes are rugged in design, easily operated, readily inspected and simple to maintain. Our Fixed Boom Cranes utilize a more compact design to offer more portability and easier maintenance. Fixed Boom Cranes are avialable in 3 - 100 ton capacity. We can design and build to your specifications. 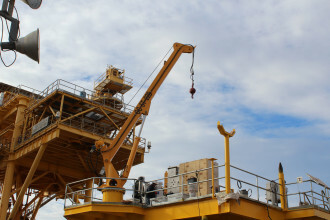 These cranes are typically utilized for offshore and/or fixed platform work. 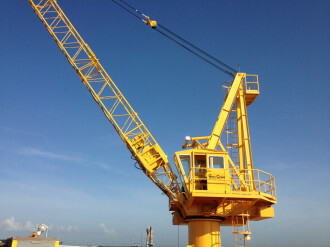 This crane is used especially on barges and liftboats. Each of our Cranes is meticulously manufactured for efficiency, maintenance, and affordability. Telescopic Boom Cranes are available in 7.5 to 50 ton capacity. We can design and build to your specifications. Unlike other manufacturers equipment, our rack and pinion design telescopic boom cranes can be extended and retracted while under load. 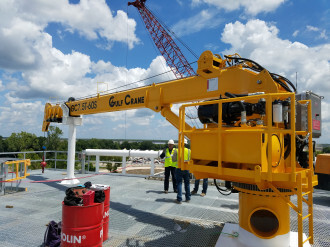 The Gulf Crane system utilizes two opposed racks, one on each lower corner of the point section, with the heavy bottom flange of the section serving as a rigid support between the racks. The two or four pinions used to propel each telescoping sections are arranged in opposed pairs such that the tooth separation forces cancel one another. The Gulf Crane pinions remain fully engaged with their racks, regardless of any bending or deflection that may occur in the point section. The separation forces do not contribute to the bending and/or deflection for the point section. All gearing in the system is checked per the current edition of the applicable AGMA Rules. The use of worm gear drives in the final stage of the power train for each pinion assures the owner that the boom will not suddenly collapse, regardless of any hose failure or inadvertent misconnection of the hydraulic lines.